smoke or water damage emergency. 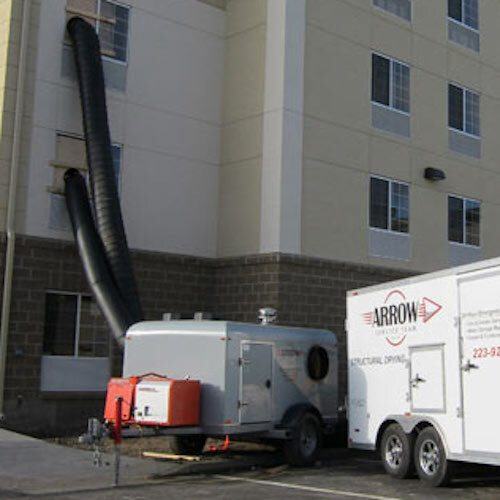 Family owned and operated since 1979, Arrow Service Team serves the Bismarck-Mandan community and surrounding areas by providing high quality, efficient, affordable cleaning and restoration services as well as construction and contracting. We specialize in handling complexities of disaster situations. Our 24-hour emergency service provides prompt response due to fire, water, wind, vandalism, trauma and other disasters. Our management and field staff are trained professionals. We are a total restoration company managing the project from start to finish. Our goal is to restore structure and contents to pre-loss condition. Arrow Service Team takes pride in the care and attention to detail committed to each project we complete.